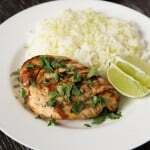 Thai Coconut Lime Chicken brings new life to plain chicken breasts. Full of coconut and lime flavor! Friends. I’m sweating. Non stop. I keep finding excuses to open the fridge and the freezer, and lingering for much too long just to feel the coolness spilling out. With hot temperatures like this, the thought of turning on my oven and heating up the house any more practically brings me to tears. No more heat! Thank goodness for our outdoor grill. Otherwise we would be eating nothing but cold salads. And ice cubes. I was getting bored with my standard plain grilled chicken, and wanted to create a recipe that would add some mouth watering flavors. After spying a can of coconut milk sitting in my pantry just begging to be used, this Thai coconut lime chicken recipe was born! This Thai coconut lime chicken is made by marinating boneless, skinless chicken breasts in a delicious Thai marinade of coconut milk, lime zest, ginger, garlic, soy sauce and a little curry powder. 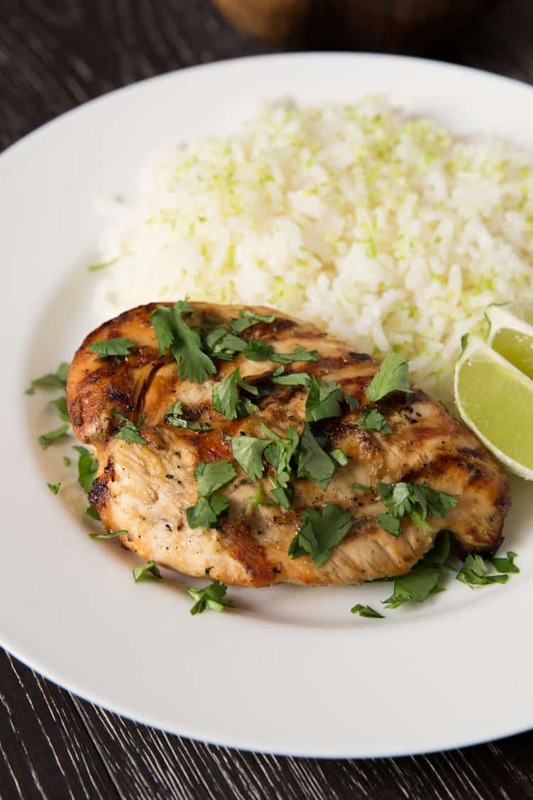 When you’re grilling your coconut lime chicken, keep brushing it with the Thai marinade to get the maximum amount of flavor. Serve it sprinkled with freshly chopped cilantro, and you MUST serve it with my coconut lime rice. If you love coconut, this is the dinner for you. Eating it will make you feel like you are enjoying dinner on a tropical island. I can almost feel the ocean breeze now. Except, it’s just the fan in my window blowing warm air around the room. Is it winter yet? In a large baking dish or ziploc bag, make the Thai coconut lime marinade by combining all ingredients and stirring to combine. Add in the chicken breasts, and marinade for at least 30 minutes or up to 24 hours. Preheat your grill (or indoor grill pan) to medium high heat. Grill the chicken, and baste it with the marinate several times. Cook until the chicken is cooked thru, about 8 minutes per side. Discard the marinade after done basting. Serve the chicken warm, topped with cilantro leaves and lime wedges. This chicken is amazing with my coconut lime rice! If I was you I would eat ice cream to cool off! Lol I mean, no AC and you have to keep cool somehow right?! This chicken looks absolutely wonderful! Thai again ;) makes me think of how much I actually want to visit Thailand. It’s literally at the top of my list! Great way to use that coconut milk again. I always need a new way to eat grilled chicken! Thanks Natalie dear! Have a fab Thursday! I dont even know how you’re surviving right now! 100 plus and no AC. You poor thing. I hope temps go down a bit for you guys. This dinner is calling my name. I love the tropical flavors of the coconut and lime and cilantro. Yummy. It’s been SO COLD here in Colorado. The weather is weird this year! Hopefully you guys get a break soon. This chicken looks awesome though! Oh what I would give for 1 cold day! I am longing for being bundled up and cozy, rather than splayed out and sweating. Send some of that cold weather my way! 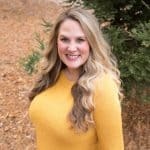 I love coconut, so your posts this week have been right up my alley, Natalie! I’m stocking up on coconut milk, stat. And I hope the heat breaks for you soon! I’ve had those exact thoughts about the fine line between dewy and drenched before (pretty sure I was always in the latter category)! I find it completely normal to stick my head in the fridge every now and then to cool off! :) Anyway, this chicken dish looks so delicious! I love coconut so this is definitely something I would enjoy! Eeekk…100 degrees and no AC! I’m pretty sure I’d be on a total popsicle diet. Hope it cools off for you soon. Yeahhhh, I would have a freak-out without AC in 100-degree heat. Not even going to lie. There wouldn’t be enough refrigerated air in the world! On a happier note, this chicken looks and sounds awesome. :) Coconut milk is new to me, but we’ve been experimenting with it a bit, actually! Oh dear! I am in Tennessee and it is usually unbearable this time of year but it has been in the high 70-80s for the last week. Everyone is walking around with long sleeves! hahaha! I am sure it will be unbearable again soon, but I am trying to enjoy this and give our ac a rest. Hopefully cooler temps head your way soon! I am going to make this and your rice next week, I never make anything Thai, but it sounds great! The best and most delicious summer recipes I have found yet anywhere! Yum! Thanks. This would definitely go perfect with your coconut lime rice! I love finding new ideas for chicken, this one looks delicious Natalie! Yikes no A/C in the extreme heat is no fun :( Hope you guys try to stay cool! Love this coconut chicken – the marinade sounds amazing and would go perfectly with your coconut lime rice! I am feeling for you, friend. Even though I’m always cold, I don’t think I could make it in the middle of summer without air conditioning. Time to whip up some refreshing cocktails to go along with your sizzling chicken ;). Sounds mouthwatering! I’m one of those silly people who is dyyying for summer to get here, but when it actually arrives, I’m the one hiding from the heat! 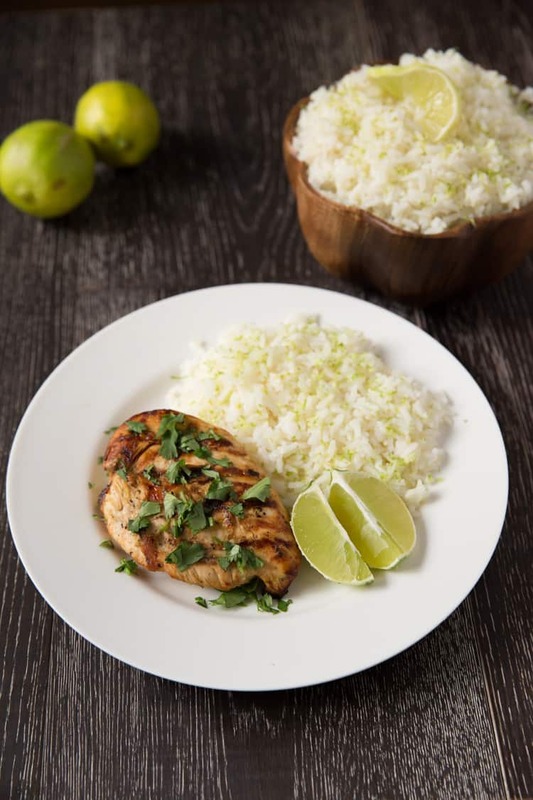 We have been using our BBQ so often lately, and this chicken looks perfect for a hot summer night :) Love the coconut & lime combo, bet it tastes amazing! What a great addition to the dinner table. I’m sure I’d love this Natalie. This chicken looks so yummy and perfect for summer gathering! I love grilling. So sorry you don’t have AC, that’s not great! dude, you’re so fancy!! LOVE IT! Can’t wait to see you on the food network someday. Oh, I totally know the feeling, Nathalie! I experienced summer temperatures well over 100 when I was living in Greece and just used to eat salad after salad after salad! This chicken sounds a bit to die for! I absolutely love all of those flavours and I bet this is a really quick dinner, too. Pinning this one! can we just take one minute to talk about the absolute ABSURDITY that is no AC in california? i do not understand. yum.. that thai marinade is definitely one i will be recreating in my kitchen. looks delicious! Oh NO!! I can’t believe you have no AC in that heat! I think I would just melt and eat popsicles all day. I hope it starts to cool down soon for you! We have had our AC on non-stop since summer hit and I can’t even imagine what it would be like without it. Stay cool, Natalie!! I’m loving these coconut lime recipes! They sound awesome and I can’t wait to try this chicken on the grill, I think my husband would love it so much too! No AC and it is that hot?! You poor thing!! Turning on the oven in that kind of heat is definitely NO FUN!!! This chicken though? Lots of fun! I love the flavors you used!! Coconut and lime and cilantro are three of my favorite things! Hope you had a fab weekend, and are staying cool! This sounds amazing . I’m using bone in chicken thighs. Hope that works!! Bone in chicken thighs will work great! Would have even more flavor. I love bone in chicken thighs, such moist and flavorful chicken. Hope you loved it! They were delicious. Thank you for the recipe!!! The downer is no AC. But the upper is that you’ve got this chicken. Love coconut + lime. Great recipe, friend! 2 different garlic requirements in the recipe? Did you mean a 1″ piece of ginger vs garlic ? You are so right Lucy! My fault! I meant 1″ piece of ginger. I’ve fixed the recipe now so it is correct. Thank you for letting me know, I just hate typos! Hope you like this recipe if you try it. Perfect now that it’s grilling season!